Contrary to popular belief, tax laws aren’t designed just to raise revenue to fund the government. 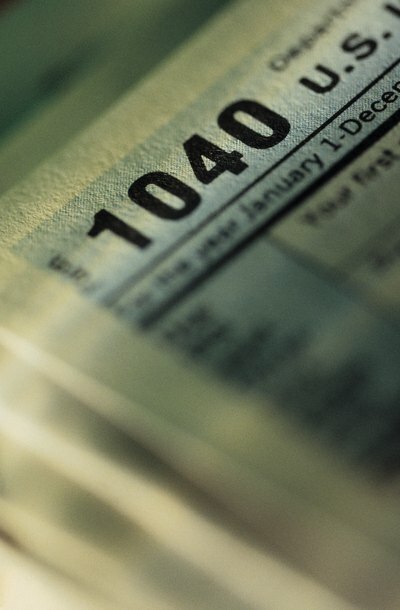 Tax policies are also designed to encourage or discourage certain behaviors. To encourage donations to nonprofits, also known as 501(c)(3) organizations, Uncle Sam gives you a break on your taxes for making donations. You can only deduct contributions to qualified charities. Qualified charities include organizations created for religious, charitable, educational, scientific or literary purposes. It also includes organizations that prevent violence to children or animals. (526, p. 2-3) Only people who itemize their deductions can deduct their donations to 501(c)(3) organizations. Though anyone can elect to itemize, it’s not always in your best interests. You should itemize only if your itemized deductions, including charitable donations, exceeds the amount of your standard deduction. When you itemize, you have to report the donations on Schedule A. After totaling your itemized deductions, you have to report the total on your Form 1040 tax return. Just because you gave something away doesn't mean you qualify for a deduction. If you made a donation to a specific individual or a nonqualified organization, you can't claim it on your taxes. For example, if you paid tuition for someone you felt was a deserving student, you can't take a deduction. You also can't deduct the value of your time or personal expenses. For example, if you spend all day helping repair a homeless shelter, you can't deduct what you would have charged if you were doing it for pay, nor can you deduct what you spent on your lunch that day. Each year, your deduction for your charitable contributions cannot exceed 50 percent of your adjusted gross income. In addition, if you’re donating appreciated property, such as stocks or land, you’re limited to a 30 percent of your AGI for donations to most organizations. Donations to certain 501(c)(3) organizations, such as veterans’ organizations, nonprofit cemeteries or fraternal societies, are subject to a 30 percent limit. These are known as 30 percent limit organizations. If you contribute appreciated property to a 30 percent organization, you're limited to 20 percent of your AGI. For example, if you donate appreciated stock to a nonprofit cemetery, your deduction couldn’t exceed 20 percent of your AGI. If your donation exceeds the limits, you can carry over the extra up to five years in the future. The amount you can deduct generally equals the dollar amount you contribute or the fair market value of the property you donate. The fair market value of property is the price at which a buyer and seller would agree. However, there are several important exceptions when donating property. First, if you’ve had the property for less than a year, you can’t include any of the gain in value. For example, if you bought stock last month, its value increased from $3,000 to $4,000 and then you donated it, your deduction would only be $3,000. Second, if you donate tangible personal property, such as artwork or coins, and the charitable organization is just going to sell the property, you can deduct only the amount you paid for the items. Finally, household items, such as clothing, generally must be in good or better condition to qualify for the deduction.